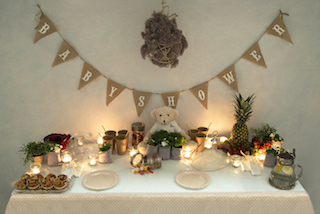 Baby hampers by Hackett. 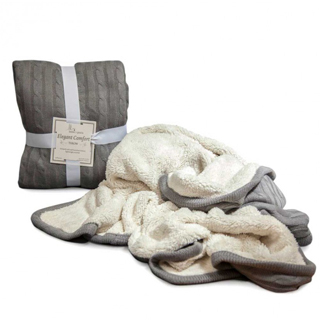 London-style outfits, perfect for spring and autumn. 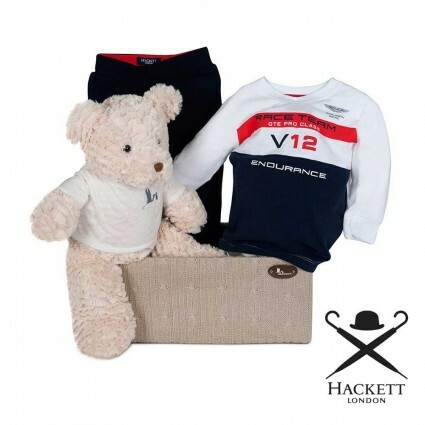 Hackett's clothing collection reflects the brand's close bond with sports, such as polo, rugby, tennis or the motor world. Shirts, polo shirts, rompers, trousers and sweatshirts inspired by the traditional British life style, modern and trendy. 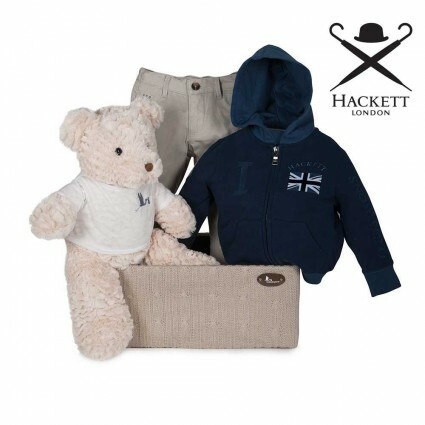 These are the outfits that define our Hackett baby hampers' clothing collection. 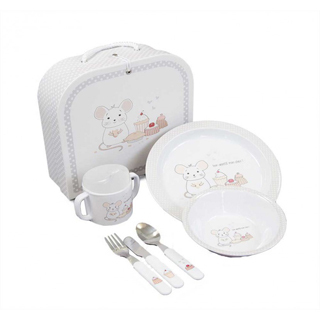 Delivery in 24-48 hours in Spain and 48-72 hours in the rest of Europe. 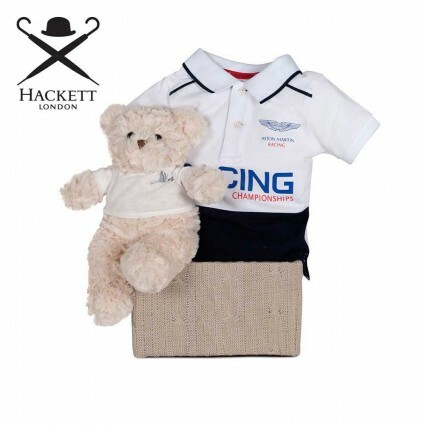 Sport style and Hackett Polo legend in this baby hamper, ideal for those big but little sporty ones.